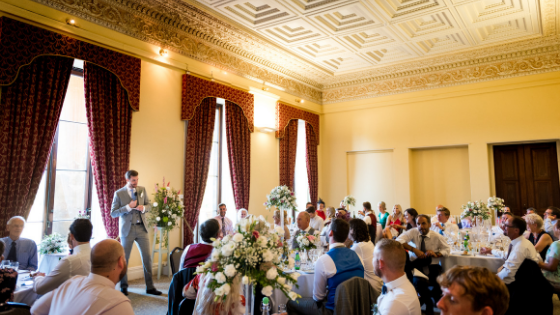 Leigh Court ~ The “I Do” Crew: do you need to invite plus ones to your wedding? Each month we’re asking our ”I Do” Crew the questions every recently engaged couple is asking, from photography to guest lists our trio of recently or soon-to-be wedded bloggers share their insights into planning a wedding. 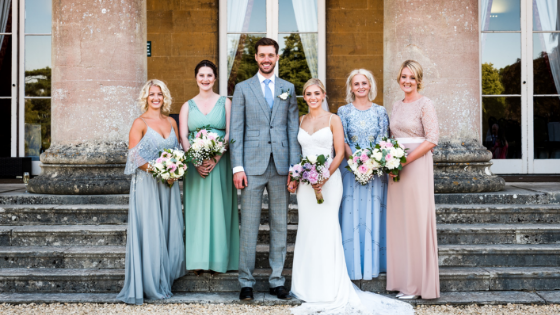 So far, we’ve asked them to tell us the first decision they made after getting engaged, whether they had a ‘first look’, and how they chose their wedding venue. This month we’re asking the crew whether they invited plus ones to their wedding. If we knew the guest’s plus one well, or if they’re married then yes. But if it was a couple who had recently gotten together who we didn’t know then we mostly asked them to come solo. We made an exception for family and people in the wedding party. Good question, I would say mainly yes. I think we both felt that even though plus ones may add a few extra people they are special to the guests. There are some plus ones coming but not everyone has one. We said that if we hadn’t met them or don’t intend to before our wedding, it didn’t feel right to have them take a place of someone we really wanted there. The I Do Crew have all made really good choices here. If a guest is married or engaged, etiquette demands you invite their partner to your wedding, and the same courtesy should be extended to people who are in long term relationships. If you’re feeling really guilty about limiting plus ones at the ceremony and wedding breakfast, you can always invite them to the evening party instead. Next month, we ask the I Do Crew about their wedding cakes, as making your own cake becomes an increasingly popular choice.